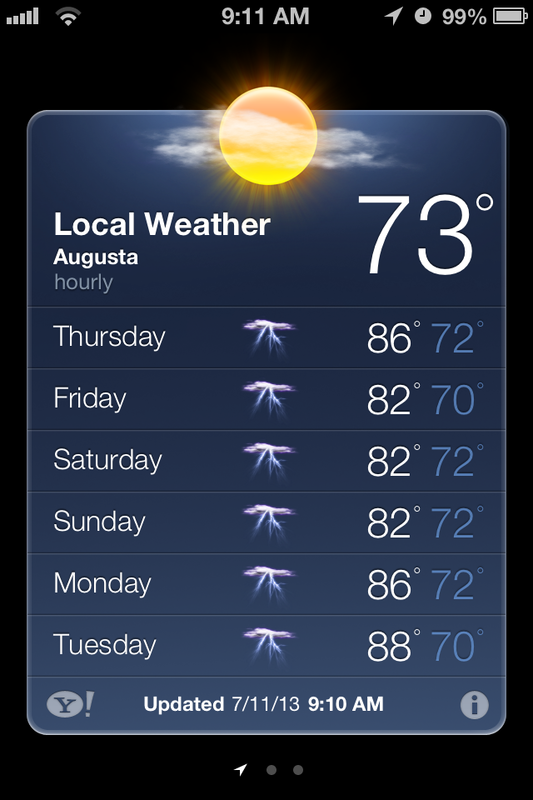 If you live in the southeast, especially Augusta, you know this by now. The sun may be shining down right now. It may seem like the perfect day for driving around with the windows down blaring the song of the summer and sipping a Caramel Crunch Frappuccino. But at some point today it is going to pour. Every day for the past 3 weeks we’ve seen the rain come. Flash floods are happening. It’s raining cats and dogs. It’s going to get worse though. In fact, all of the cats and dogs are going to be washed away in the water. That’s how bad it’s going to get. You don’t see it yet on the forecast, but the hardest rain is yet to fall. You may think I’m crazy for forecasting this weather. I’m no meteorologist, that’s true. Neither was Noah. He was just a guy who heard the voice of God. God told Noah to be prepared, for a storm was coming. A storm like the world had never seen before. God told Noah to build an ark to protect his family and the creatures roaming the earth. People thought Noah was crazy, building an behemoth ship in broad daylight. But he had faith in God’s voice. He knew that the sun never shines forever. Noah obeyed God’s instructions. He was prepared when the storm hit. He protected his family because of his faith. Together, along with the world’s first zoo and aquarium, Noah and his family rode out the storm because they listened to God’s voice. God still speaks to us, if we will listen. He wants us to be prepared for the storms. Not with raincoats and umbrellas – with prayer and community. When we pray, study His word, and fellowship with the church, we are preparing for the storms in life. We are building the arks that will carry us through the hard rains. Even when life is full of sunshine, we must still guard ourselves in God. We must still prepare the ark. The rain will fall. Don’t let it catch you off guard. Wear God’s word as your raincoat. Wear it even when there isn’t a cloud in the sky. It won’t stop the storm from happening. But when the world tries to drench you with rain, it will keep you from getting wet. How can you stay prepared for the storms of life?